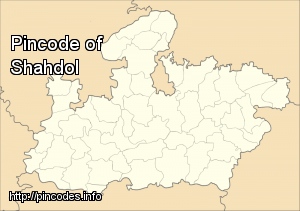 Shahdol is a city in Shahdol district in the Indian state of Madhya Pradesh. It is the administrative headquarters of Shahdol District. 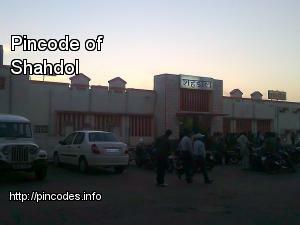 Shahdol is also the 10th Division of Madhya Pradesh state, including Shahdol, Anuppur, Umaria, and Dindori districts. Shahdol district has lush green forests, a natural wealth of coal and minerals, and a primitive tribal population. There is a Virateshwar temple of Lord Shiv in Sohagpur Baan Ganga. Kalchuri King Maharaja Yuvraj Deva had it built between 950 and 1050 AD to present it to the Acharya of Golkaki Math. District Shahdol is predominantly hilly. It is picturesque with certain pockets and belt of SAL and mixed forests. The total geographical area of the district is 5671�km2. Adjacent to the District Shahdol are the boarding districts Dindori, Satna, Sidhi, Umaria, Anuppur and Rewa. The by-polls at the two places, both reserved for Scheduled Tribes category, assume significance as they were held after the Centre's decision to demonetise Rs 500 and Rs 1,000 notes.